President Obama continues to withstand the nation's most aggressive war hawks from both parties even as the long-secret U.S. plan to overthrow Syria's government last week reached a turning point in Aleppo amidst remarkable threats between the United States and Russia of military action against one another. The Washington Post's well-connected Associate Editor Karen DeYoung and national security columnist Josh Rogin were among those reporting (here in the Post's print edition Oct. 9, for example) that Obama and some of the Defense Department's top experts remain reluctant to agree to widespread calls for a U.S.-enforced no-fly zone in Syria or major upgrades of weapons systems for rebels. Meanwhile, however, Obama's CIA Director John Brennan and a number of other allies and administration members reportedly back exactly those actions. Update: In a major development reported on Nov. 10: Washington Post, Obama directs Pentagon to target al-Qaeda affiliate in Syria, one of the most formidable forces fighting Assad. Vice Presidential nominees Tim Kaine and Mike Pence, Democrat and Republican respectively, renewed their call for U.S.-enforced no-fly-zone. So did Senate Armed Services Committee Chairman John McCain (R-AZ) and a number of other hawks. Such a zone is an act of war and would be, at this point, without either congressional or international authorization. Their public reasons are ostensibly on humanitarian and pro-democracy grounds. Many news stories focus on civilian deaths in Syria, albeit with almost no coverage of whether the estimated 8,000 rebels, many of them non-Syrian jihadists drawn from other nations, are using civilians and hospitals as human shields, as Syria's government claims. Given the U.S.-backed atrocities against Yemen's civilian population by Saudi Arabia (such as a Saudi strike on a funeral killing 140 over the weekend) and the CIA's role in fomenting the Syria war, the complaints over civilian deaths in Syria suggest that many American leaders fear their plan to overthrow Syrian President Bashar Al-Assad is failing. The CIA has sought to control Syria for many years, according to documents, books and interviews, including a 1986 Rolling Stone interview of Miles Copeland, the CIA's first station chief in Syria after World War II. Fast forward. During the presidential debate Oct. 9 in St. Louis, GOP nominee Donald Trump took a different view from his running mate, Pence. Trump argued that Aleppo has already fallen and that it is nearly pointless to attack Assad because of his willingness with Russia to attack ISIS. Trump's Democratic rival Hillary Clinton rejected the idea of using American ground troops in Syria but backed special forces there and troops for a major push against ISIS in Iraq, where the government has invited U.S. help. "I hope," she said, "that by the time I am president we will have pushed ISIS out of Iraq." A White House photo shows the president while he waited backstage before making his last address at the United Nations General Assembly in New York Sept. 20. Today's column reporting these momentous developments is particularly timely because much of the American public has been distracted in recent days by the debate, the Trump "Access Hollywood" lewd video, and Hurricane Matthew, the category 4 storm that hit Florida and the Carolinas after inflicting many fatalities in the Caribbean. Most Western news media coverage of Syria primarily focuses upon civilian casualties in eastern Aleppo from Russian and Syrian bombing. But other developments include the possibility that the current "proxy war" between U.S. and Russian allies could rapidly expand to a more direct war, including nuclear attacks. Today, we report military threats (including an appendix of the most recent news articles). 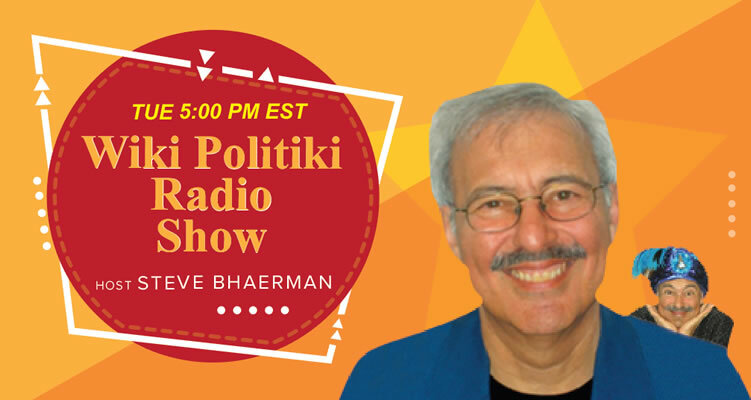 Our follow up columns will address longer-term issues, including recent revelations regarding propaganda strategies to build support for war-making. The Syrian civil war that began in 2011 has already caused hundreds of thousands of deaths and displaced millions, including the refugees destabilizing European nations and fostering fears that terrorists are part of the mass migrations from Syria. 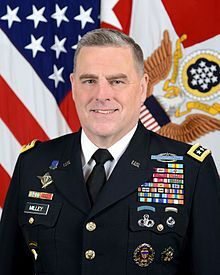 U.S. Army Chief of Staff Mark Milley, shown in an official photo, warned potential enemies (widely interpreted to mean Russia) last Wednesday, "We will stop you and we will beat you harder than you have ever been beaten before." Also on Wednesday, the Obama administration conducted a cabinet-level meeting to discuss bombing and other military options favored by some in the administration to stop Russian and Syrian attacks on the rebel-controlled eastern section of Syria's largest city, Aleppo, which is under relentless attack that could be successful for the most part before November's elections. On Thursday, Russia's top military spokesman responded to American threats by saying that the U.S. effort to prepare the world for war could be a prelude to "real action" in Syria, but that Russia would not back down. The comments by Russian Defense Ministry spokesman Maj. Gen. Igor Konashenkov, as reported in the U.S. trade publication Military.com in Russia Strongly Warns US Against Striking Syrian Army, came as Russia is sending additional planes, missiles and personnel to Syria to augment its existing deployments. These include at the Syrian government's invitation naval and air bases and a highly advanced air defense that can track and destroy rival missiles and aircraft. Also, a Russian aircraft carrier has just deployed off of Syria's coast and is expected to help both attack and defense. On Sept. 19, Syrian, Russian and and their allied forces of Iran and Hezbollah fighters ramped up their efforts against rebels in Syria, most visibly by renewed bombing of the rebel-held section of eastern Aleppo reputed to contain nearly 300,000 in population. Syria and Russia have complained that the United States has refused to separate according to cease fire terms the so-called "moderate" rebels from Al Qaeda terrorists the U.S. blames for 9/11, among other terrorist attacks. The pro-government forces control the air and with their combined air and land attacks they could crush rebels in Aleppo by year-end if not before U.S. elections in November. Control of Aleppo would entrench the Syrian president's resurgence and deliver a huge and perhaps fatal defeat to the monumental U.S. effort to overthrow him by the revolution and civil war begun in earnest five years ago. Among the ripple effects would be that Syria’s government under Assad (shown in a file photo with his wife Asma) could then focus on destroying ISIS-held regions in eastern Syria, a task they have already started by reclaiming such ISIS outposts as the historic city of Palmyra. In the United States, the next U.S. administration would face a changed landscape of a stronger, more popular Assad government. Currently, President Obama is resisting this enormous pressure from his patrons, subordinates and outside critics to use his last months in office to escalate the U.S.-led civil war against Assad. 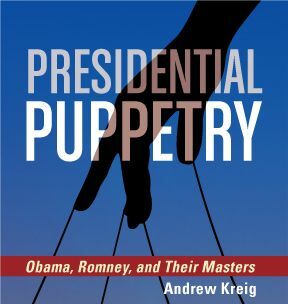 In many previous columns and in our 2013 book Presidential Puppetry: Obama, Romney and Their Masters, we have documented (drawing on other authors and investigative reports) how Obama and his family were groomed with extensive covert experience in intelligence matters before he began his political career. Obama's first job after college, for example, was as a researcher with the CIA front company Business International Corp. before he became a community organizer. The historian Dr. Webster Tarpley was one of the first to report this kind of control in two books published in 2008, beginning in March of that year with Barack H. Obama: The Unauthorized Biography. 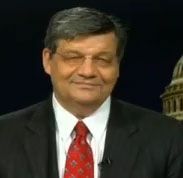 Former Navy intelligence officer and author Wayne Madsen reported these Obama intelligence ties in more detail the following year in an ongoing series first published on his subscription-blog the Wayne Madsen Report and then in books. 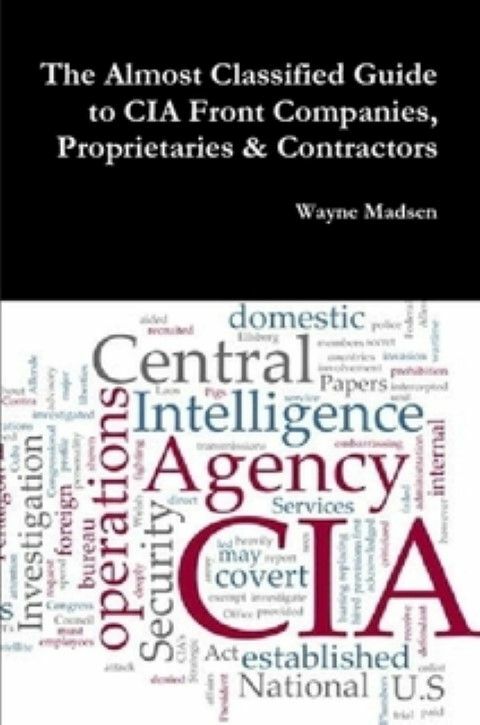 Madsen's most recent book, published last week, is The Almost Classified Guide To CIA Front Companies and Proprietaries. The 350-page book (whose cover is shown below at right) is encyclopedia-style listing of CIA front companies like Business International, with a number of entries also identifying major mainstream and web-based news media operations that help keep propaganda alive and secrets hidden from the American public. Obama's advisors before he became president included Brennan, a career CIA executive who led the CIA's station in Saudi Arabia went on after a high-ranking post in the Bush-Cheyney CIA to head a trade association of intelligence contractors. Brennan then advised Obama on terrorism issues during his 2008 campaign. 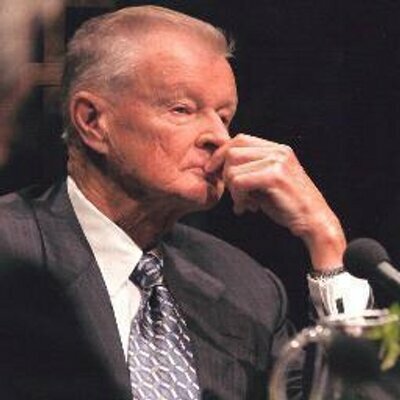 Another Obama advisor during that campaign was Dr. Zbigniew Brzezinski. He is shown at left via Twitter, a forum from which he recently advocated more U.S. intervention in Syria. 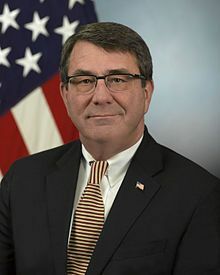 He is the former Carter Administration national security director and a leading anti-Soviet, anti-Russian Cold Warrior. The Columbia University professor has some five decades of high-level experience. These include close ties to the Rockefeller interests, whose patriarch is David Rockefeller, age 101. In 1974, Rockefeller and the professor co-founded the Trilateral Commission that helped then-Georgia Gov. Jimmy Carter win the 1976 Democratic presidential nomination and then the nation's top office. 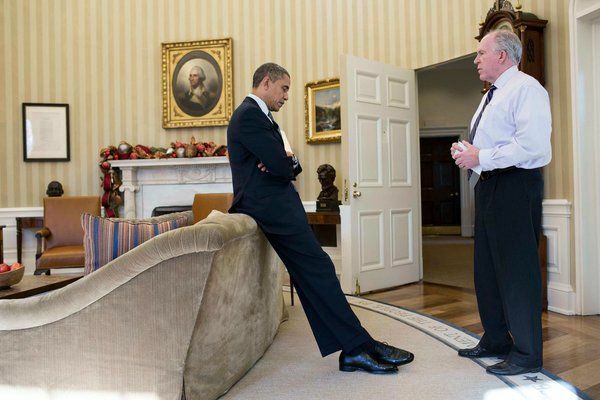 Brennan, shown above right with Obama in a 2012 White House photo, was chief counter-terrorism advisor during Obama's first term, and in that post served in effect as a key pipeline for the military-intelligence complex to advise and/or influence the president. Obama's true background, never reported in the mainstream media, is a vital reference point for analyzing his foreign policy. It disproves the phony but widespread narrative that he was a mere community organizer, a local lawyer, first-term senator and naif regarding foreign policy. The "Birther" myth that Obama was born in Kenya and not a U.S. citizen was even more convoluted hoax. Trump and other Republicans touted it for low-information, angry voters in a way that undermined Obama's authority. 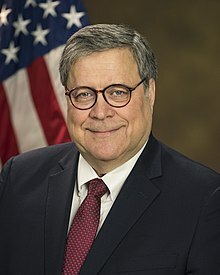 The myth also served propagandists allied with Obama and intelligence interests by shifting scrutiny of his past away from the powerful Wall Street and other interests that backed him as part of the elite's ongoing efforts to control both parties as well as fringe groups. Realistically, the U.S. power elite, acting through the CIA and other power centers such as Wall Street, would never have permitted a true leftist to become president, much less supported his career, as did many key figures and institutions. In his first years, Obama followed the aggressive regime change agenda of his backers, including support for the covert CIA-led effort to overthrow Assad beginning in 2011. A pivotal moment came in August-September 2013, as we reported at the time, when the Obama administration among others beat the war drums for bombing Assad in reprisal for his alleged role inflicting sarin gas attacks that killed more than a thousand civilians in a rebel-held section of Damascus. That period, however, marked a turning point in Obama's policy. 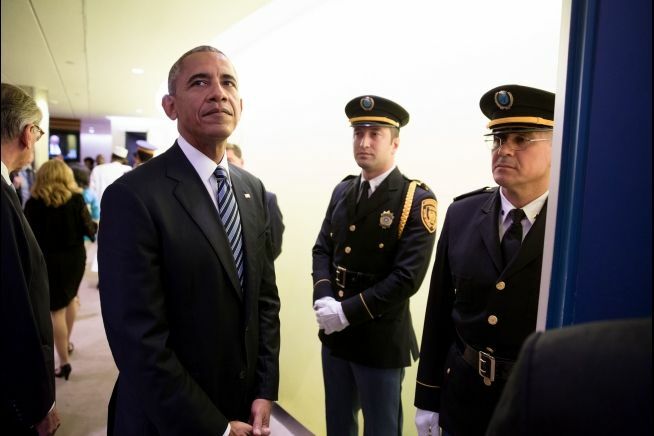 Congress refused to authorize force that Obama and his fellow hawks at the time sought. Then Russia persuaded Assad to destroy all chemical weapons, which was the ostensible point of any military action, not regime change. More quietly, significant doubts arose among insiders on whether the gas attacks really were by Assad, and not a false flag attack by rebels or their allies designed to bring the United States more directly into the supposedly civil war. Those doubts were hidden from the American public by the mainstream media for the most part. 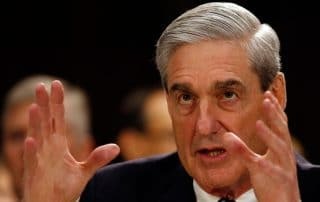 Even the noted investigative reporter Seymour Hersh had to publish his findings on the matter in the London Review of Books and not in the more politically subservient American media, including his longtime outlet of the New Yorker Magazine. Obama has since endured criticism from the neo-conservative and neo-liberal war lobby, which funnels vast amounts of money into political campaigns, the media, academia, think tanks and other thought-leadership. The war lobby's favorite meme against Obama is that he is "weak" for failure to enforce his so-called "red line" against weapons of mass destruction, aka chemical attacks, allegedly used by Assad. 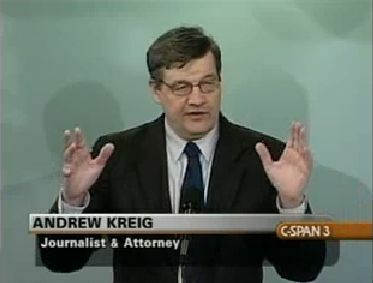 Its operatives include such top Obama appointees as Secretary of State Kerry and U.S. Ambassador to the United Nations, who is married to Obama's close friend and former White House staffer Cass Sunstein, a noted constitutional law professor regarded by the media (like his wife Power) as a liberal. Another view, virtually never expressed except in tiny corners of the alternative media, as here, is that Obama's background and values give him strength to resist escalation, although political realities prevent the president from taking the facts directly to an American public largely uniformed about Washington intrigues that involve both parties. In much the same way, the media (with a few exceptions such as Hersh and Madsen) have hidden from the public the secret bipartisan plan among top officials to use Benghazi as a smuggling outpost to funnel arms and fighters from Libya to Syria to overthrow Assad. 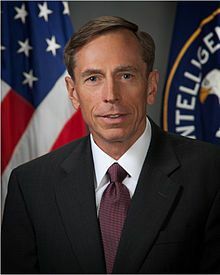 The collateral damage of the plan overseen in significant part by the CIA and its then-director David Petraeus (shown at left in an official photo) included the deaths of four Americans on Sept. 11, 2012. We reported here that 2012 campaign issue in Clinton's Benghazi Hearing Creates Fireworks On Partisan Claims. Benghazi remains an issue in this campaign, but many key facts suppressed, including the roles of Petraeus and the CIA. Instead, virtually all criticism and media coverage has focused on Obama and his political appointees, such as Hillary Clinton. Petraeus, meanwhile, is CEO of a Wall Street hedge fund, like many public officials enriched following time in office. 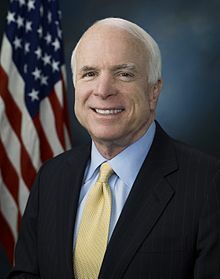 As a former general and holder of a doctorate degree from Princeton, he remains influential also as a thought-leader in important civic and academic institutions, thereby exemplifying the revolving door between high-level government posts, Wall Street, and the civic understanding of policy issues. Most significantly of all, perhaps, Obama received high-level Defense Department advice against the desire for bombing advocated by some of his prominent civilian advisors, as we reported in September 2013 in Did America's Top General Save Nation From Open-Ended War in Syria? Since then, the bipartisan pro-war consensus that dominates both parties and thought-leaders in the media and foundations has repeatedly attacked Obama as weak for his unwillingness to ramp up war in Syria. Yet he has apparently resolved not to start an open new war in the last months of his presidency. 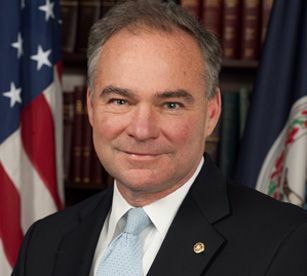 During the Oct. 4 vice presidential debate, Democratic nominee Tim Kaine (a U.S. senator and Foreign Affairs Committee member shown at left in an official photo) and his GOP counterpart, Indiana Gov. Mike Pence (shown below right), each advocated for a U.S.-enforced no fly zone in Syria, ostensibly on humanitarian grounds to save civilians in Aleppo. That position was featured in a positive manner by the New York Times in front-page story last week by reporter Mark Landler, A Rare Source of Accord in Debate? Landler and his newspaper have long taken a lead role in showcasing anonymous neo-con and neo-liberal war hawks embedded in the State Department who dissent from Obama’s reluctance to embark on a new full-scale war to finish the job of overthrowing Assad. 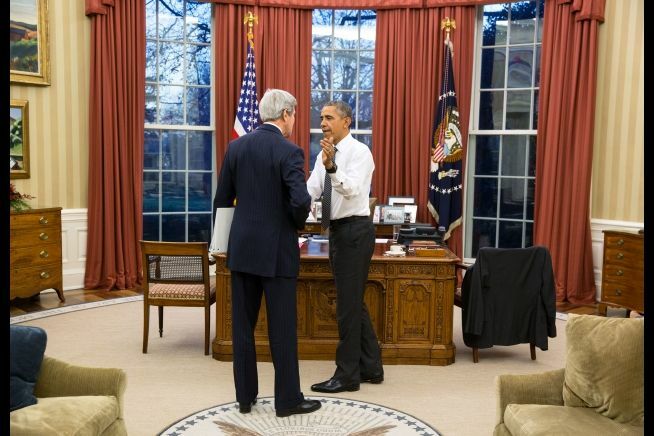 Most notably, Landler and his counterparts at the Washington Post featured last June front-page articles showing the views of 51 anonymous State Department employees seeking from Obama more military action, and a follow-up, headlined John Kerry Is Said to Side With Diplomats’ Critical Memo on Syria. Throughout the summer, war-mongers embedded in the administration, congress and the media advocated more military action. In the Oct. 9 presidential debate, however, Trump shocked longtime political commentators by disagreeing with his running mate Pence. Trump also said he had not talked to Pence about the issue following Pence's pro-intervention stance in last week's vice presidential debate. Regarding the continuing momentum in the Washington establishment for military action, the Washington Post national security columnist Josh Rogin reported Oct. 5 that the CIA and Pentagon’s Joint Chiefs of Staff wanted Obama to authorize military responses in this week’s meetings to thwart Syria’s gains in Aleppo since the Sept. 19 breakdown of the ceasefire agreement. Details are in Obama administration considering strikes on Assad, again. In the arguments promoted to the public view, the rationale for military action is saving innocent civilians from Syrian and Russian bombers. But alternative solutions than war to civilian deaths that are almost never reported or otherwise discussed. Among alternative solutions would be end to U.S. aid to radical Islamists who are fighting Assad in Aleppo, or their surrender or safe passage to a rebel-controlled part of Syria, as offered by Assad and the Russians. That same offer has been accepted and implemented in other war-torn parts of Syria recently, and yet is virtually never reported in the Western media. The war lobby's most immediate problem with its Syrian policy is that the Assad-led alliance seems on the verge of defeating the rebels in Aleppo by year-end, if not by November’s elections. That kind of crushing defeat for the Islamists and havoc for civilians would not end the war, of course. But would isolate rebels largely into landlocked rural and small city environments harder to defend, and enable the Syrian government coalition to focus on ISIS in the eastern part of the country. Several aspects of this scenario are well-understood in private by Western policymaker elites but are virtually never reported. Informing the public with missing information might undermine American voter support for those in both parties advocating humanitarian support for civilians, overthrow of Assad with “moderate” rebels, and the end of ISIS. Missing from most news coverage of these issues is military analysis of the firepower that the different fighting forces hold in Syria, and current statements of their willingness to escalate. Above, we noted the U.S. Army chief's warning to potential enemies. That prompted a response by the Russian defense ministry's chief spokesman, Major General Igor Konashenkov (shown in a file photo), who promised that no U.S. aircraft would be immune from the threat the S-300 and S-400 air defense batteries pose in case of military strikes on the government-controlled areas. The exchange of threats between the world's two major nuclear powers is unprecedented since the Cuban Missile Crisis of 1962, which historians regard as the closest the world has ever come to a nuclear war threatening the planet's survival. 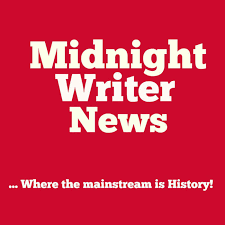 Below are links to relevant stories this month, arranged in reverse chronological order. Particularly important are the vastly different interpretations the two sides place on U.S. airstrikes that reportedly killed more than 80 Syrian troops fighting ISIS, and wounding approximately 120 other Syrian soldiers. U.S. officials describe the Sept. 17 strike in the eastern Syria as a mistake, as reported in U.S. Says It Believed It Was Attacking ISIS in Strike That Reportedly Killed Dozens of Syrians. By contrast, Syrians and Russians described the fatal attack as highly suspicious in motive, particularly because the strike provided a temporary victory to ISIS fighters whom Syrians were defeating at the time. Assad and his allies pointed to the strike as a major factor in destroying the trust needed to continue the ceasefire reached Sept. 9. By contrast, U.S. officials and their allies dismissed the strike largely as an unfortunate mistake and described a fatal bombing attack on a purportedly humanitarian convoy to Aleppo as more serious. The main purpose of today's column was to provide an update on last week's historic developments. Our next column will examine why events are unfolding as they are, particularly the covert strategies that major players keep hidden as best they can from the public. AP via Washington Post, With Trump, a major US shift in Mideast, Lee Keath, Nov. 11, 2016. President-elect Donald Trump’s positions on Middle East issues, if carried out, could bring yet more volatility to the world’s most combustible region. President-elect Donald Trump’s positions on Middle East issues, if carried out, could bring yet more volatility to the world’s most combustible region. Besides vowing to rip up the international nuclear deal with Iran, Trump says he will ramp up the war on Islamic State militants; he could make the Palestinians more desperate by siding with Israel’s hard-line right wing. He also seems set to end the Obama administration’s cold shoulder toward authoritarians like Egypt’s Abdel-Fattah el-Sissi. Trump has most often been vague and sometimes outright contradictory about plans in the Mideast. And his stances could change. His call for a ban on Muslims entering the U.S. worried many in the region, but he has since watered down that stance, and many opinion-makers in the Gulf at least call it simply campaign rhetoric. Overall, Trump has shown a focus on fighting Islamic militants and favoring strongmen who do so. 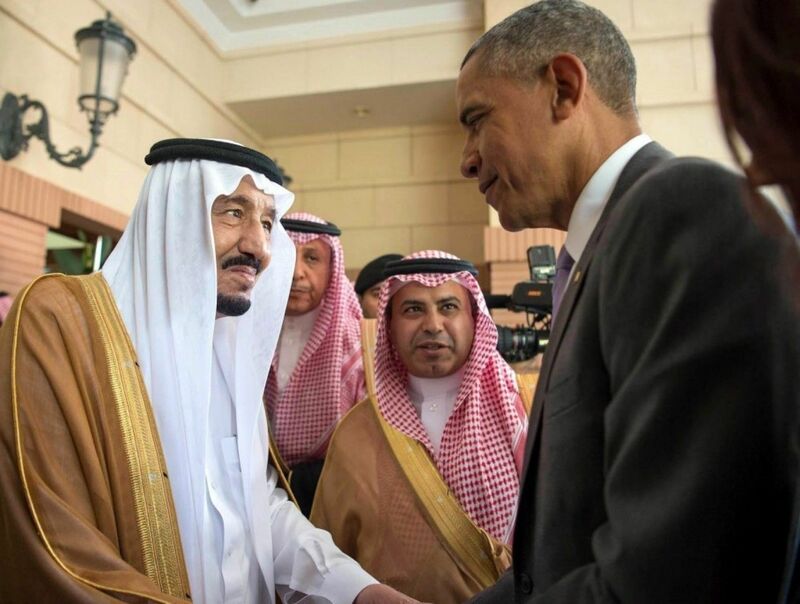 He’s shown less concern with human rights or the complicated minutiae of the Mideast’s many factions and interests. RIA Novosti via Daily Sabah, Gorbachev warns world is at 'dangerous point' as US-Russia tensions soar over Syria, Staff and wire reports, Oct. 10, 2016. Former Soviet leader Mikhail Gorbachev, 85, warned on Monday that the world has reached a "dangerous point" as tensions between Russia and the United States spike over the Syria conflict. Relations between Moscow and Washington -- already at their lowest since the Cold War over the Ukraine conflict -- have soured further in recent days as the United States pulled the plug on Syria talks and accused Russia of hacking attacks. SouthFront, 30 Militants Killed in Recent Clashes in Aleppo City, Staff report, Oct. 10, 2016. The Syrian army, Hezbollah (Lebanese) and Harakat Hezbollah al-Nujaba (Iraqi) are clashing in with the joint forces of Nouralddeen al-Zinki and Jabhat Fatah al-Sham (formerly Jabhat al-Nusra or al-Nusra Front) in the Sheikh Saeed Neighborhood of Aleppo city. Pro-government sources argue that the Assad forces are close to recapturing the whole neighborhood. According to the same reports, over 30 militants were killed in the recent attacks by the army, Hezbollah and Harakat Hezbollah al-Nujaba. Since yesterday, Syrian warplanes have made up to 60 air strikes on the militants’ positions in the neighborhood, contributing to the sucess of the ground forces. SouthFront, Associated Press Was Forced to Delete Propaganda Post that ‘Assad Forces’ Not Fighting ISIS, Staff report, Oct. 10, 2016. The Associated Press (a US multinational “nonprofit” news agency headquartered in New York City) was forced to delete a propaganda post, arguing that the Syrian government is not fighting the ISIS terrorist group. On October 9, the agency posted an “AP Fact Check” post about the recent Trump-Hillary debates. SouthFront, Clashes Between Syrian Army & ISIS near Kuweires Airbase: At Least 10 Terrorists Killed, Staff report, Oct. 9, 2016. Clashes between Syrian soldiers and members of the Islamic State (IS) terrorist group south of the Kuweires airbase in eastern Aleppo claimed lives of at least 10 terrorists of the group. Washington Post, Little consensus within administration on how to stop fall of Aleppo to Assad, Karen DeYoung, Oct. 9, 2016 (print edition). Memories of the Rwandan massacre and slaughter of Bosnian Muslims loom over discussions. There is no consensus within the administration about what the United States can or should do to try to bring a halt to the killing and stop what appears to be the increasingly inevitable fall of Aleppo, Syria’s largest city, to government forces. The Pentagon has argued for years against direct U.S. military action, seeing that as risking deeper involvement in Syria’s civil war and detracting from the separate fight against the Islamic State in Syria and Iraq. 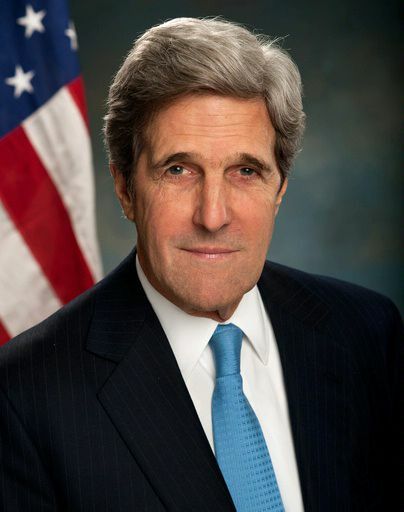 Early last month, defense officials objected to a deal reached with Moscow by Secretary of State John F. Kerry (shown in an official photo) that would couple a cease-fire and delivery of humanitarian aid with U.S.-Russian counter-terrorism cooperation against the Islamic State and al-Qaeda-linked forces in Syria. When the cease-fire fell apart, the Aleppo onslaught began, and Obama ordered up a new assessment and policy alternatives, some senior officials perceived a shift in the Pentagon’s position. At a Sept. 28 meeting of national security deputies, military officials described options against the forces of Syrian President Bashar al-Assad that might provide leverage over Moscow. To the State Department and other agencies that had urged a more muscular policy, it seemed that a corner had been turned. Kerry, who has long advocated for U.S. military action, had recently told a meeting of Syrian activists that he had lost that argument long ago, according to a recording of the session obtained by the New York Times. Now the State Department was sure that the Pentagon had switched sides, according to several senior administration officials who described the ongoing, closed-door debate on the condition of anonymity. But last Thursday, as the discussion moved up the chain to a contentious White House meeting of national security principals, top defense officials made clear that their position had not changed. They advised a possible increase in weapons aid to opposition fighters but said the United States should focus its own military firepower on the anti-Islamic State mission rather than risk a direct confrontation with Russia. SouthFront, Russia to Take Down any Airplane or Missile Targeting Syrian Army, Staff report, Oct. 7, 2016. Using the Russian and Syrian air power, the Syrian Arab Army and its allies took the opportunity to make further advances in Aleppo city. On October 6, Syrian President Bashar al-Assad repeated a guarantee of safe passage to the rebels holed up in Aleppo. However, this offer from the legitimate government of Syria was overshadowed by a highly publicized statement from United Nations Syrian Envoy Staffan de Mistura in which he volunteered to personally accompany some Jabhat al Nusra fighters from the city as a human shield. The unprecedented offer was bluntly rejected by Jabhat al Nusra, which reaffirmed its collective desire to continue attempts to break the siege instead of making peace. Major General Igor Konashenkov (chief spokesman for Russia's defense ministry) promised that no U.S. aircraft would be immune from the threat the S-300 and S-400 air defense batteries pose in case of military strikes on the government-controlled areas. 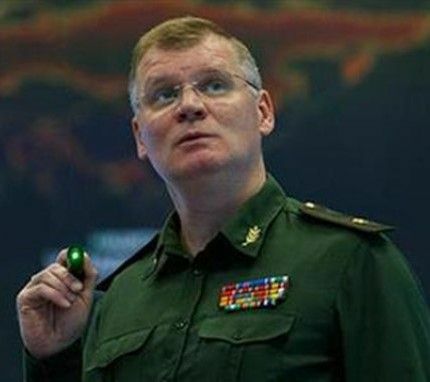 Konashenkov (shown in a file photo) pointed to the airstrikes against Syrian government forces in Der ez-Zor as one of the primary motivating factors in importing the potent weapon systems. Associated Press via Washington Post, The Latest: Russia backs UN call for al-Qaida Aleppo exit, Staff report, Oct. 7, 2016. Russia’s Foreign Minister Sergey Lavrov says Moscow backs the U.N. Syria envoy’s call on al-Qaida-linked militants to leave the besieged city of Aleppo. Hundreds of people have died as the Syrian army backed by Russian warplanes has stepped up its offensive on rebel-held eastern Aleppo. Special envoy Staffan de Mistura urged fighters from Fatah al-Sham Front, previously known as the Nusra Front, to evacuate to another part of the country to save the ancient city from complete destruction. He added that policies must also be developed to deal with other militants who choose to stay in Aleppo. The Russian parliament is discussing the ratification of a treaty with Syria that allows Russian troops to stay indefinitely in the Mideast country. Lawmakers spoke in favor of the agreement, in a sign of support for embattled Syrian President Bashar Assad, whom Moscow has backed throughout the devastating civil war. The vote is to be held later Friday. The treaty allows Russia to keep its forces at the Hemeimeem air base in Syria’s coastal province of Latakia, Assad’s Alawite heartland, as long as it wants. Strategic Culture Foundation, Did I Say That? State Department Official Admits Ties to Terrorist Groups, Mike Whitney, Oct. 7, 2016. The United States is on the wrong side in the Syrian war. The U.S. is on the side of al Qaida, the terrorist organization that killed 3,000 Americans on September 11, 2001. Jabhat al Nusra, which is the name of al Qaida’s branch in Syria, is the most powerful and effective militia currently fighting against the Syrian government. Al Nusra is not comprised of “moderates” that are fighting for democracy, civil liberties or human rights. They are Islamic extremists that want to remove the secular government of Syrian President Bashar al Assad and replace it with an Islamic caliphate that will ruthlessly enforce Sharia law. The bulk of al Nusra’s foot-soldiers are not Syrian nationals, but foreign-born militants recruited by the various Intelligence agencies (US, Turkish, Saudi and Qatar) from around the world. A large portion of these fighters have been armed, trained and funded by these same intel agencies. Whether al Nusra gets its marching orders directly from Langley, Riyadh or Ankara, is a matter of considerable debate. (I, personally, don’t think they do.) But it is also completely irrelevant. What’s more important is that these terrorist organizations are mainly the invention of the western intel agencies that use jihadists to advance their own geopolitical agendas in places like Afghanistan, Kosovo, Chechnya, Libya, Somalia etc. Absent state support, these gangs of cutthroats would likely wither and vanish in a matter of months. Global Research, Air Strikes against Syria: Who are the War Criminals? Who is Supporting Al Qaeda? Russia or America? Michel Chossudovsky, Oct. 7, 2016. America is coming to the rescue of Al Qaeda under a humanitarian mandate. The unspoken agenda is to undermine the Liberation of Aleppo. The pretext and justification for these actions are based on America’s “responsibility to protect” (R2P) the “moderates” in Aleppo from Syrian and Russian attacks and bombing raids. SouthFront, Russia’s Parliament Ratifies Indefinite Deployment of Air Force in Syria, Staff report, Oct. 7, 2017. The lower house of Russia’s parliament ratified an agreement with Syria that authorizes the indefinite deployment of a Russian air group at the Khmeimim Air Base in Syria’s province of Latakia. The agreement was signed in Damascus on August 26, 2015, and was submitted by Moscow for ratification in the beginning of August, 2016. Russia will use the Khmeimim Air Base ‘free-of-charge’ and will carry out supplies to the base without customs or any other duties. The Russian military began its military operations against terrorist groups in Syria on September 30, 2015, at the request of Syrian government. Memoriab via SouthFront, Putin Issues a Ultimatum to the United States to Leave Eastern Europe, Translated by Borislav exclusively for SouthFront, Oct. 7, 2017. Vladimir Putin asked the US to remove its defense infrastructure from Eastern Europe and from the territory of new NATO members in the Balkans and the Baltics (Bulgaria, Romania, Ukraine, Lithuania, Latvia, Estonia, Poland) as well as its troops stationed there in recent years. He also insists that Washington’s sanction are lifted and compensation paid for the damage caused by them. Middle East Eye, Obama’s Syria policy and the illusion of US power in the Middle East, Gareth Porter, Oct. 7, 2016. One of Obama's biggest failures is letting his policy in Syria be determined primarily by the ambitions of Qatar, Saudi Arabia and Turkey. With the collapse of the US-Russian ceasefire agreement and the resumption and escalation of the massive Russian bombing campaign in Aleppo, the frustration of hawks in Washington over the failure of the Obama administration to use American military power in Syria has risen to new heights. But the administration’s inability to do anything about Russian military escalation in Aleppo is the logical result of the role the Obama administration has been playing in Syria over the past five years. The problem is that the administration has pursued policy objectives that it lacked the means to achieve. That strategy was upended when the Russians intervened forcefully in September 2015. Obama, who was firmly committed to avoiding any direct conflict with Russia over Syria, vetoed any threat to use force in Syria in response to the Russian intervention. US complicity in the hundreds of thousands of deaths in the Syrian War, and now in the massive civilian casualties in the Russian bombing of Aleppo, does not consist in its refusal to go to war in Syria but in its providing the political-diplomatic cover for the buildup of the al-Nusra Front and its larger interlocking system of military commands. A US administration that played a true superpower role would have told its allies not to start a war in Syria by arming jihadists, using the fundamentals of the alliance as the leverage. Washington Post, U.N. envoy says eastern Aleppo may face ‘total destruction,’ Karen DeYoung, Oct. 6, 2016. Staffan de Mistura, the U.N. envoy for Syria, said Thursday that he would “physically accompany” to safety jihadist fighters who can be persuaded to leave Aleppo to remove what he said is an “easy alibi” being used by Russia and the Syrian government to bomb the city. 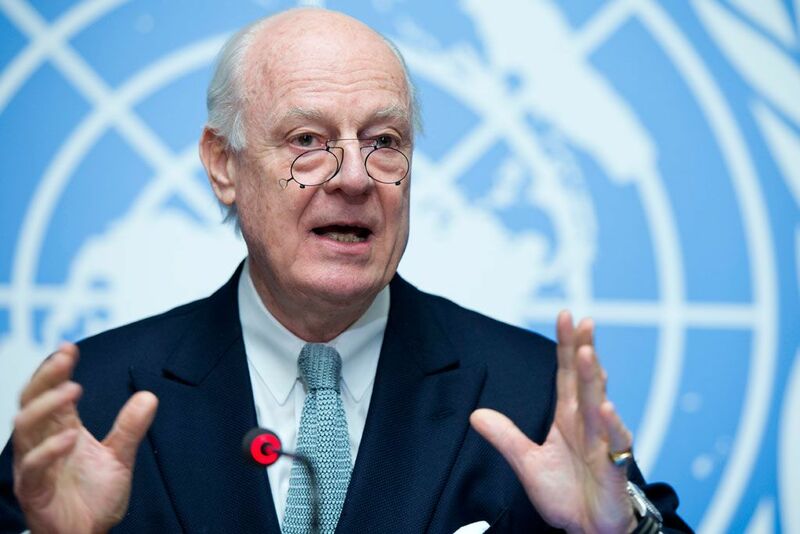 With some apparent desperation in his voice, de Mistura (shown below in a UN photo from January) said that rebel-occupied eastern Aleppo may face “total destruction” by the end of the year if the fighting is not stopped. The bombing began within days after a U.S.-Russia brokered cease-fire took effect on Sept. 12. Russia has charged that the United States has not complied with its obligations under the deal to separate opposition fighters from the jihadists. 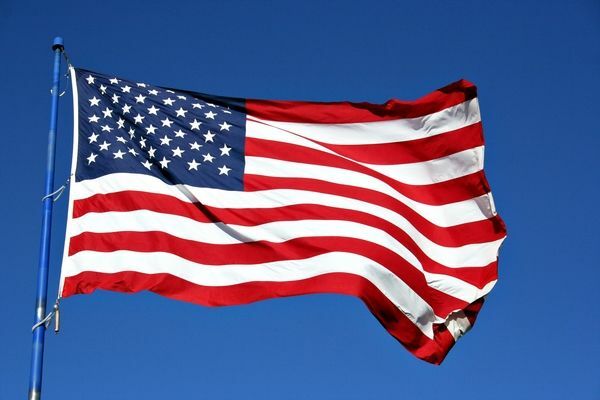 The United States has said that a cessation of all bombing was supposed to be the first step in the agreement, along with the safe and sustained delivery of food and medical supplies to the besieged civilians. De Mistura said that the total number of opposition fighters in Aleppo is about 8,000, less than a tenth of whom are members of the Front. U.N. humanitarian coordinator Jan Egeland said that at least 376 people have been killed there over the past two weeks, and that the Syrian government had not supplied permits for the safe passage of any humanitarian aid in the country. Associated Press via Washington Post, U.N. releases satellite images of damage in Syria’s Aleppo, James Keaten, Oct. 6, 2016. 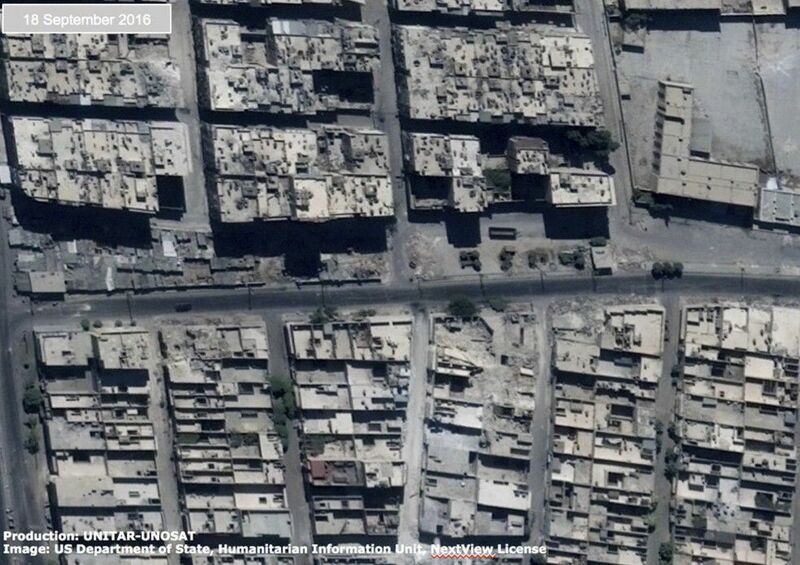 The U.N. on Wednesday released stark satellite images (above) showing the most recent destruction of Syria’s embattled northern city of Aleppo, pounded by Syrian and Russian airstrikes since the collapse of a U.S.-Russia brokered cease-fire two weeks ago. The release coincides with a stepped-up offensive by Syrian pro-government forces that are attacking the city from the south in a bid to penetrate its opposition-controlled areas, where the U.N. estimates 275,000 people are trapped in a government siege. Military.com, Russia Strongly Warns US Against Striking Syrian Army, Vladimir Isachenkov, Oct. 6, 2016. The Russian military on Thursday strongly warned the United States against striking the Syrian army, noting that its air defense weapons in Syria stand ready to fend off any attack. The statement underlined high tensions between Moscow and Washington after the collapse of a U.S.-Russia-brokered Syria truce and the Syrian army's offensive on Aleppo backed by Russian warplanes. Russian Defense Ministry spokesman Maj. Gen. Igor Konashenkov (shown in a ministry file photo) said any U.S. strikes on areas controlled by Syrian President Bashar Assad's government could jeopardize the lives of Russian servicemen. He said Moscow was worried by media reports alleging that Washington was pondering the possibility of striking Syrian army positions. "I would recommend our colleagues in Washington to carefully weigh possible consequences of the fulfillment of such plans," Konashenkov said. In Washington, State Department spokesman John Kirby said "We're looking at the full range of options here and those comments notwithstanding, we still have a responsibility as a government to consider all those options." "I don't find them (comments like the warning) helpful to moving forward, to reach some sort of diplomatic solution here. But the Russians should speak for themselves and why they're saying that kind of thing," he said. SouthFront, Russian Ministry of Defense: Media Leaks About US Strikes on Syrian Army Preface to Real Action. Staff report, Oct. 6, 2016. Major General Igor Konashenkov, the Russian defense ministry's chief information officer, said Thursday that the Russian Defense Ministry believes the leaks to the media about possible US strikes on the Syrian army could be a preface to real action. Konashenkov also reminded to “all the ‘hotheads’ that following the September 17 coalition airstrike on the Syrian Army in Deir Ezzor we took all necessary measures to exclude any similar ‘accidents’ happening to Russian forces in Syria.” The statement referred to the recent deployment of an additional battery of S-300 air-defense system and the overall air-defense capabilities of the Russian military grouping in Syria. Konashenkov added that military strike on the government-controlled territories, would pose clear threat to Russian military personnel because Russian officers are working on the ground, providing humanitarian help and holding talks with representatives of local communities and militia units across the country. Zero Hedge, France’s Marine Le Pen Says EU Responsible For “Monstrous Chaos In Syria,” Tyler Durden, Oct. 6, 2016. With the proxy war in Syria escalating dramatically on a day-by-day basis, Marine Le Pen (shown above in a file photo), leader of France’s National Front party and the frontrunner for the role of president in near year’s French elections, accused the European Union of being responsible for the ongoing chaos in Syria. She added that Europe has been too busy trying to overthrow Assad while Russia was actually fighting terrorists. “You’ve done everything to bring down the government of Syria," She said, "throwing the country into a terrible civil war, while accusing Russia which is actually fighting Islamic State. Your responsibility could not be concealed.” Speaking at the European Parliament plenary session in Strasbourg on Wednesday, she also mentioned that conservative policies advocated by both the United States and the European Union contributed to plunge Iraq into chaos. The Euro-sceptic politician then moved from the war in Syria to its logical, and intended according to some, outcome: Europe's refugee crisis. She slammed the bloc’s approach toward immigration as "irresponsible," stating that the current migrant policies only increase the number of economic migrants. “No real measures are taken to curb the crisis. Your irresponsible policy, on the contrary, brings us more and more economic migrants,” Le Pen said, adding that only 30 percent of the migrants that had arrived in the EU were from Syria. 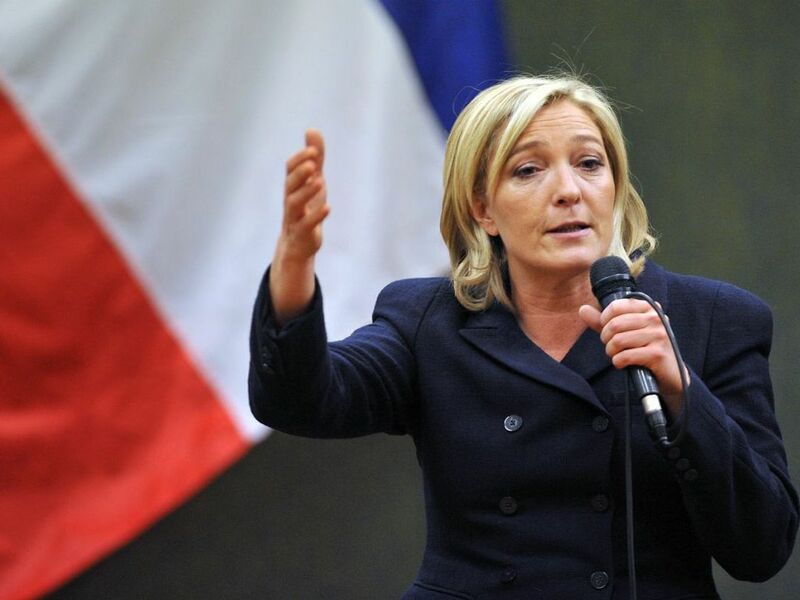 Le Pen, who intends to ride the wave of anti-immigrant anger sweeping French society in next year's presidential election, has repeatedly spoken out on the migrant crisis and security issues in Europe and France. 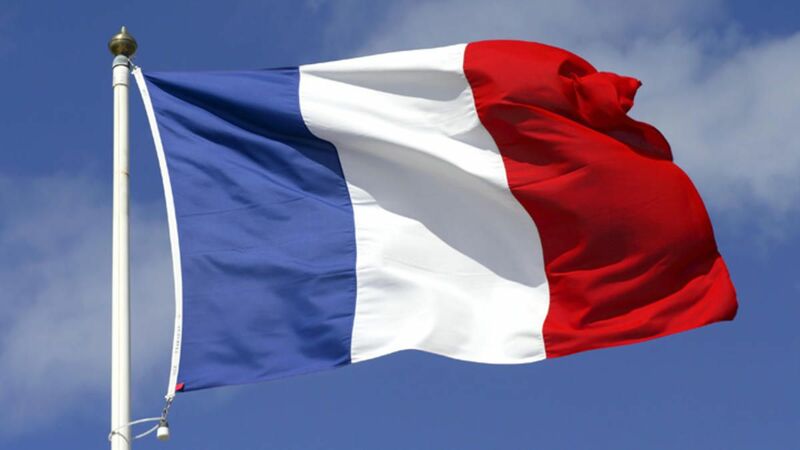 France has been hit by a number of deadly terror attacks within the past two years, with a state of emergency declared after the November 2015 attacks in Paris and prolonged following an attack this July in Nice. The Saker, Russian options against a US attack on Syria, The Saker, Oct. 5, 2016. The tensions between Russia and the USA have reached an unprecedented level. Both sides are now going to the so-called “Plan B” which, simply put, stand for, at best, no negotiations and, at worst, a war between Russia and the USA. So the Russian threat is simple: you attack us and we will attack US forces in Syria. Of course, Russia will vehemently deny targeting US servicemen and insist that the strike was only against terrorists, but both sides understand what is happening here. SouthFront, US Army Chief Threatens War with Russia, Staff report from wires, Oct. 6, 2016. US Army Chief of Staff General Mark Milley said that the US is ready to “destroy” its enemies, referring to Russia. The US is ready to “destroy” its enemies, Army Chief of Staff General Mark Milley said last night, referring to Russia. "I want to be clear to those who wish to do us harm – the United States military – despite all of our challenges, despite our [operational] tempo, despite everything we have been doing – we will stop you and we will beat you harder than you have ever been beaten before. Make no mistake about that,” media quoted Milley’s words. SouthFront, Up to 60,000 Iranian-Backed Fighters Operate in Syria, Staff report, Oct. 6, 2016. A pro-US media outlet, Orient-news, released the estimated intelligence on the Iranian military involvement in the war. Military.com, Army Chief Issues Stark Warning to Potential Enemies, Matthew Cox, Oct. 5, 2016. The U.S. Army's chief of staff on Tuesday issued a stern warning to potential threats such as Russia and vowed the service will defeat any foe in ground combat. "The strategic resolve of our nation, the United States, is being challenged and our alliances tested in ways that we haven't faced in many, many decades," Army Chief of Staff Gen. Mark Milley told an audience at the Association of the United States Army's annual meeting in Washington, D.C.
"I want to be clear to those who wish to do us harm … the United States military -- despite all of our challenges, despite our [operational] tempo, despite everything we have been doing -- we will stop you and we will beat you harder than you have ever been beaten before. Make no mistake about that." Milley's comments come during an election year in which voters will decide a new president and commander in chief -- and a period of increased military activity of near-peer competitors, including Russia and China. The Army has struggled to rebuild its readiness after more than a decade of extended combat operations in Iraq and Afghanistan. The service has significantly cut the size of its force since the Cold War and decreased its modernization budget in the last decade, Milley said. "While we focused on the counter-terrorist fight, other countries -- Russia, Iran, China, North Korea -- went to school on us," he said. "They studied our doctrine, our tactics, our equipment, our organization, our training, our leadership. 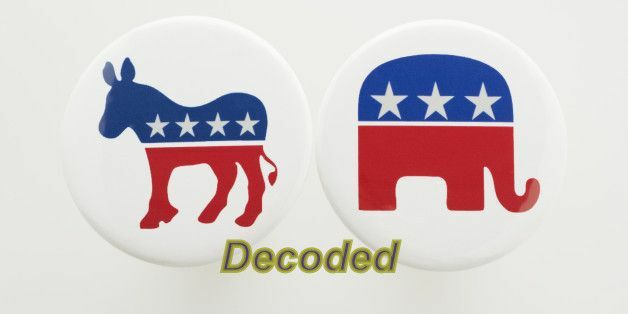 And, in turn, they revised their own doctrines, and they are rapidly modernizing their military today to avoid our strengths in hopes of defeating us at some point in the future." Milley also quoted a senior Russian official as saying publicly, "The established world order is undergoing a foundational shake-up" and that "Russia can now fight a conventional war in Europe and win." The general warned that future warfare with a near-peer adversary will "be highly lethal, unlike anything our Army has experienced at least since World War II." Wall Street Journal, Stop Assad Now — Or Expect Years of War, U.S. Sen. John McCain (R-AZ, chairman of the Senate Armed Services Committee), Oct. 5, 2016. Ground the regime’s air force, create safe zones for Syrian civilians, and arm the opposition. “The U.S. and its coalition partners must issue an ultimatum to Mr. Assad — stop flying or lose your aircraft — and be prepared to follow through," the Arizona senator said. SouthFront, US Considers Military Strikes on Govt Forces, Staff report, Oct. 5, 2016. Russian and Syrian warplanes have delivered massive air strikes on the joint terrorist forces in the province of Hama. US military strikes against the Syrian government is at the top of the agenda today at the White House, when top national security officials in the Obama administration are set to discuss options for the coalition in Syria, The Washington Post daily reported. The US officials are going to push forward so-called “limited military strikes” in order to, according to the official version, prevent violations of the cease-fire by the Assad government and disrupt his ability to continue committing war crimes against civilians in Aleppo and, for sure, to push it back to the negotiating table. SouthFront, Russia Accuses US of Blocking UNSC Statement on Shelling of Russian Embassy in Syria, Staff report, Oct. 5, 2016. A statement of the UN Security Council in connection with the mortar firing of the Russian embassy in Damascus has virtually been blocked by the US delegation. The Russian delegation to the UN has initiated a statement of the Security Council in connection with the mortar firing of the Russian embassy in Damascus, but it has been virtually blocked, the Interfax news agency reported, citing a statement of the Russia’s Permanent Representation to the UN. The Russian delegation proposed to release the statement, condemning the mortar attack on the Russian embassy in Damascus. “It was virtually blocked by the US delegation, which tried to introduce extraneous elements into the ext, which is standard for such cases,” the Permanent Representation pointed out. Russian diplomats regarded action of the US as “blatant disregard for the Vienna Convention on Diplomatic Relations.” “We have to admit that moral principles of some our colleagues on the Security Council have seriously shaken,” the statement read. 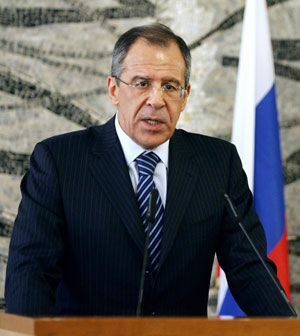 On October 3, the Russian Embassy in Damascus came under mortar fire. One of the shells exploded on the territory of the embassy, while two shells fell down next to the building. According to a statement of the Russian Foreign Ministry, no one was injured as a result of the attack, which was carried out from the territory, controlled by the Jabhat Fateh al-Sham (previously known as the Al-Nusra Front or Jabhat al-Nusra) terrorist group. New York Times, In Vice-Presidential Debate, Focus Was on Top of the Tickets, Jonathan Martin and Patrick Healy, Oct. 5, 2016. Senator Tim Kaine and Gov. 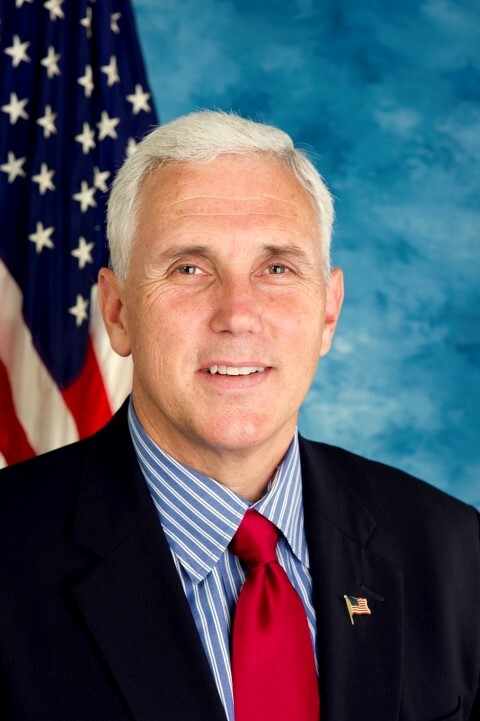 Mike Pence clashed over the merits of their running mates, with both men scrambling to defend the policies of the two presidential candidates. Mr. Pence was more formal and mild-mannered than his rival, while Mr. Kaine was far more aggressive from the start. New York Times, A Rare Source of Accord in Debate? Syria, Mark Landler, Oct. 5, 2016. The pair called for a more aggressive American response to the conflict, such as setting up zones in the country to protect civilians. With the humanitarian and refugee crisis in Syria spiraling to new depths, the Democratic and Republican vice-presidential candidates, in their debate on Tuesday, called for a more aggressive American response to the civil war than President Obama has undertaken. Even as they argued over Donald J. Trump’s income taxes and Hillary Clinton’s email practices, the candidates, Gov. Mike Pence of Indiana and Senator Tim Kaine of Virginia, found common ground on what is perhaps the thorniest geopolitical crisis today. Both said they favored a proposal to create humanitarian “safe zones” in northern Syria to protect civilians being bombarded by the Syrian government. Neither was precise about what would be needed to create such corridors, though analysts say it would almost certainly require American warplanes to enforce a no-fly zone. Mr. Obama has steadfastly resisted such a step. Until this week, his administration was trying to negotiate a cease-fire with the Russians, who are helping Syrian government forces in their siege of Aleppo. Mr. Kaine was slightly more circumspect. “Hillary and I also agree that the establishment of humanitarian zones in northern Syria with the provision of international human aid, consistent with the U.N. Security Council resolution that was passed in February 2014, would be a very, very good idea,” he said. Neither was precise about what would be needed to create such corridors, though analysts say it would almost certainly require American warplanes to enforce a no-fly zone. SouthFront, Russian Aircraft Carry Out Airstrikes in Syria: Hundreds of Terrorists Killed, Staff report, Oct. 4, 2016. Several airstrikes have been carried out by Russian fighter jets in provinces of Aleppo, Idlib, Hama and Homs. As result, hundreds of terrorists have been killed and their military hardware has been destroyed. The Russian Aerospace Forces are carrying out airstrikes on terrorists, while the Syrian Army is advancing in Aleppo, killing terrorists and their commanders, the Russkaya Vesna information website reported, citing its own military source. Over the past day, about 200 terrorists have been killed and more than 250 others have been wounded, while 32 pickup trucks, armed with heavy machine guns, and 20 pieces of other military hardware of terrorists have been destroyed, as a result of precision airstrikes of Russian fighter jets on positions of the Jabhat Fateh al-Sham (previously known as the Al-Nusra Front or the Jabhat al-Nusra) terrorist group in the provinces of Aleppo, Idlib, Hama and Homs. Washington Post, Obama administration considering strikes on Assad, again, Josh Rogin, Oct. 4, 2016. U.S. military strikes against the Assad regime will be back on the table Wednesday at the White House, when top national security officials in the Obama administration are set to discuss options for the way forward in Syria. But there’s little prospect President Obama will ultimately approve them. SouthFront, 400 Militants to Leave Qodsiyeh Town in Damascus in Next 3 Days, Staff report, Oct. 4, 2016. Over 400 militants and members of their families will be transferred from Qodsiyeh town in Western Ghouta region to Hama and Idlib provinces in the next three days.According to sources in the peace committee in the town of Qodsiya, militants, who are not going to lay down their arms, will leave the town, while others, who intend to stay in Qodsiya, will surrender their weapons and be pardoned. Al Jazeeza, Syria: Government tanks roll into rebel-held Aleppo, Staff report, Oct. 4, 2016. Russian-backed offensive to retake Aleppo's rebel-held east intensifies as diplomacy stalls. Syrian government tanks crossed the front line in the battleground city of Aleppo for the first time in four years, as a Russian-backed offensive to retake the rebel-held east escalated on the ground. Pro-government forces were "gradually advancing" after street battles on Tuesday in the divided city's rebel-controlled neighborhoods, according to the UK-based Syrian Observatory for Human Rights. Tuesday's offensive came a day after Washington suspended direct US-Russia talks on a Syria ceasefire -- a move US Secretary of State John Kerry blamed on Russia's rejection of diplomacy in favor of helping forces loyal to President Bashar al-Assad achieve military gains over opposition fighters. "Today there was very heavy bombing today. More than 16 civilians were killed and more than 32 people were injured," Ibrahim Abu Leith, spokesman for the Syrian Civil Defence in Aleppo, told Al Jazeera. CNN, US: Russia ships new anti-missile system into Syria, Ryan Browne and Barbara Starr, Oct. 4, 2016. The Russian military has brought an additional, more advanced anti-aircraft and anti-missile system into Syria, a US official told CNN on Tuesday. While not yet operational, the system, which was shipped in over the weekend, is a newer, modified version of the S-300VM, also known as the SA-23. It expands Russia's anti-air capability in northwest Syria significantly. 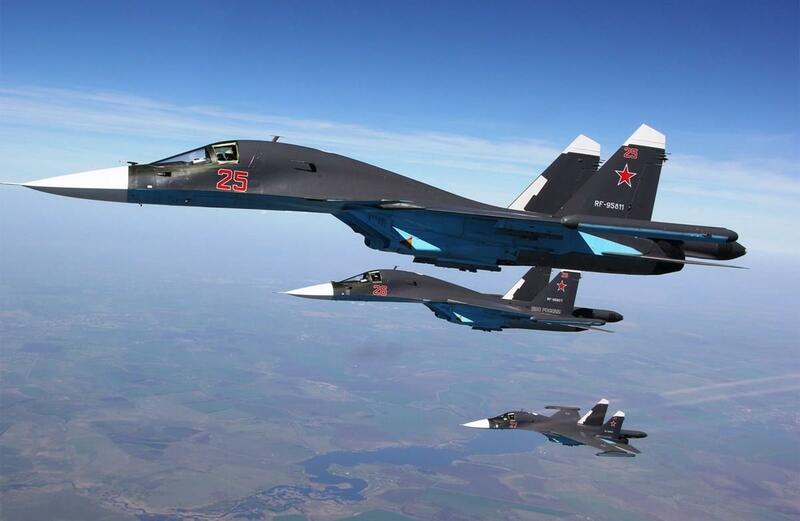 Though the US does not believe the Russians plan to target US pilots, one official called the development "a concern." For months now, the Russians have had air defense that lets them see north to the Turkish border, so this expands the envelope potentially in a militarily significant manner. US officials feel that Russians likely want to extend their air defense envelope out to Dier Ezzor to demonstrate to the world they and the Syrian regime are in control of wide swath of Syria. But a US official with direct knowledge of the situation and the thinking inside the administration says the anti-regime forces and other militia forces, the majority of which form the Free Syrian Army, a main anti regime force, are now estimated to total as much as 100,000 fighters across Syria, which means the Syrian military would not likely be able to wipe them out and assert full control on the ground. The battlefield stalemate appears to have no solution at this point. The Administration is not considering military options against the Syrian regime, several officials say. Related News: SouthFront, Syrian War Report, Russia Deploys Anti-ballistic Missile System amid Tensions with the US, Staff report, Oct. 4, 2016. The US Fox News TV channel has reported, citing military sources, that Russia had deployed the S-300V4 “Antey-2500” anti-ballistic missile system in Syria. S-300V4 is an upgraded version of S-300. It’s designed to defeat short- and medium-range ballistic missile, aeroballistic and cruise missiles, fixed-wing aircraft, as well as loitering ECM platforms and precision-guided munitions. According to Fox News, it was delivered to the Russian naval facility in Tartus via the sea. In 2015, Moscow deployed the S-300 long range surface-to-air missile system after the incident with downing of Russia’s Su-24M bomber aircraft by Turkey. The new phase of strengthening of the air-defense capabilities of Moscow’s military grouping comes amid the increased US-Russian tensions over the ongoing conflict. SouthFront, Yemeni Missile Hits Saudi Military Base in Asir Province, Staff report, Oct. 4, 2016. Saudi Arabia’s strategic military positions and bases in the kingdom’s province of Asir were hit with the Zalzal-3 ballistic missile by the Houthi-Saleh alliance. The attack was a response to Saudi airstrikes on residential areas across Yemen. Saudi troops suffered heavy losses at the al-Montazah military base and in al-Zahran region in the province of Asir as a result of the Yemeni missile attack. According to earlier reports, over a hundred soldiers of the Saudi Army and its coalition members were killed each time, when they came under a ballistic missile attack by Yemen. This time, armored vehicles of the Saudi-led forces were also destroyed during the Yemeni missile attack. Washington Post, Saudi Arabia appears to be using U.S.-supplied white phosphorus in its war in Yemen, Thomas Gibbons-Neff, Sept. 19, 2016. Saudi Arabia appears to be using U.S.-supplied white phosphorous munitions in its war in Yemen, based on images and videos posted to social media, raising concerns among human rights groups that the highly incendiary material could be used against civilians. New York Times, Humanitarian Aid Is on Its Way to Besieged Parts of Syria, John Kerry Says, Michael R. Gordon, Sept. 19, 2016. Humanitarian aid has begun to flow to besieged areas in Syria, Secretary of State John Kerry said on Monday morning, a rare sign of progress after the agreement he struck to reduce violence in that country appeared to be on the brink of collapse. On Sunday, Mr. Kerry accused President Bashar al-Assad’s government of blocking the delivery of aid to Aleppo. “The humanitarian assistance is supposed to be flowing,” Mr. Kerry said in an interview with CNN. “The regime once again is blocking it. So Russia’s client, Russia’s supported friend, is the single biggest blockade to the ability to move forward here.” Mr. Kerry is in New York along with leaders and foreign ministers for the annual session of the United Nations General Assembly. PaulCraigRoberts.org, Deconstructing Samantha Power’s Big Lies, Stephen Lendman, Sept. 19, 2016. 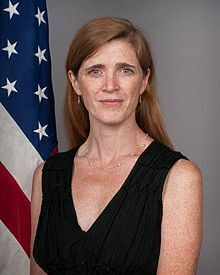 She’s Obama’s neocon UN envoy, a despicable character (shown below), complicit in his high crimes by outrageously supporting them. She glorifies US-sponsored genocides outrageously called humanitarian interventions, ignoring or shamelessly justifying Washington’s sordid record of repeated supreme crimes against peace. She disgraces the office she holds, part of Obama’s permanent war criminal cabal. Her notion of responsibility to protect is mass slaughter and destruction to advance America’s imperium. Responding to Russia’s calling an emergency Saturday Security Council session to address US naked aggression against Syrian forces earlier in the day, flagrantly breaching Geneva ceasefire terms, she shamelessly changed the subject, turned truth on its head, bashed Russia’s “uniquely hypocritical and cynical” attempt to make her explain her government’s lawless aggression. Playing the blame game instead, she disgracefully holds Assad and his democratic government responsible for Obama’s genocidal war – typical US arrogance and hubris. 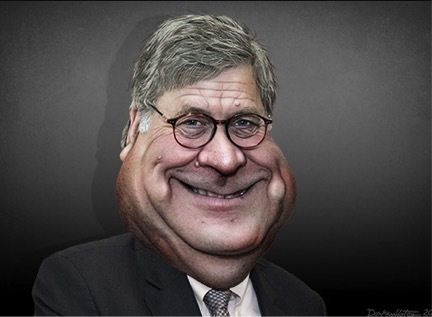 Power is paid to lie for Washington’s criminal cabal in charge. Her despicable remarks show she does it with relish. SouthFront, End of Truce: Russia Says Unilateral Ceasefire Observance by Syrian Government Forces Is Senseless, Staff report, Sept. 19, 2016. The head of the main operations department of Russia’s General Staff, Lt. Gen. Sergey Rudskoy declared during a press briefing on Monday that there is no reason for the Syrian government forces to observe the ceasefire, unilaterally. “Taking into account the fact that militants are not observing the regime of cessation of hostilities, we believe its unilateral observance by Syrian government forces is senseless,” Rudskoy said. The Russian military official emphasized the United States and US-backed opposition groups have not met any of the commitments of the agreements. Rudskoy added the US has failed to provide the Russian military with precise data on the deployment of the US-controlled armed groups while the data, handed over to Russia on September 13, did not meet the bilateral agreement – it was merely a general list of the militant groups agreed to join the truce. SouthFront, Syrian Army Declares End of the Ceasefire, Staff report, Sept. 19, 2016. The Syrian army command has declared the end of the nationwide ceasefire in Syria. “It was assumed that the ceasefire will present a real chance to end the bloodshed, but terrorist groups did not adhere to any of the points of the agreement on a ceasefire, the number of violations on their part has exceeded 300,” SANA news cites the statement. The statement says the Syrian army has “shown the highest level of endurance in confronting the abuses by terrorist groups.” In turn, “armed terrorist groups took advantage of the declared ceasefire” in order to regroup and mobilize forces. Now, the terrorists are aimed to launch attacks on “residential areas” and the government forces positions in several regions, including Aleppo. Roll Call, As Maine's 2nd District Goes, So Goes the Nation? Simone Pathé, Sept. 19, 2016. Every presidential year after Labor Day, Maine's 2nd District pops up on the national political radar as territory Republicans will put in play. Maine is one of just two states that split its electoral votes by congressional district, and the Trump campaign believes that its rural, blue-collar 2nd District is ripe for the picking. U.S. News & World Report, Watch This Senate Hopeful Assemble an Assault Rifle Blindfolded to Defend His Stance on Guns, Rachel Dicker, Sept. 19, 2016. Jason Kander seeks to show he's qualified to demand background checks on guns. Naked Capitalism, Wells Fargo’s Management by Magical Thinking Comes Up Short in the Cover-Up Category, Yves Smith, Sept. 19, 2016. As the Wells Fargo fake accounts scandal escalates, it has been delicious to see a full-blown corporate pathology on display. With impressive speed, the press has eviscerated the pious mythology that Wells has peddled over the years. Somehow, no one in the top brass was alert enough to realize that creating a boiler room that churned employees, both the ones fired and the one disgusted with the culture, would leave a lot of eye witnesses who’d be delighted to tell their stories. And even by the standards of corporate misconduct, they are wowsers. The media reports paint Wells as having leaders with their brains rotted by too many TED talks, leadership gurus, motivation coaches, and management information experts. They seemed to believe that boring old banking could become the next Apple…without any iPhone, that the mere force of corporate will could get the American public to buy more Wells banking services, in the absence of any evidence of customer appetite or Wells having better financial mousetraps. SouthFront, Syrian Army Seizes Most of Turdah Mountain from ISIS despite US Air Strikes against Government Forces, Staff report, Sept. 18, 2016 (typo-corrected). The Syrian army and the National Defense Forces, supported by the Russian Aerospace Forces, have seized the most of Turdah mountain south of the strategic city of Deir Ezzor from the ISIS terrorist group. The pro-government forces were able to do this despite ‘accidental’ air strikes of the US-led coalition air power against the Syrian army in the area. The US-led air power’s actions resulted in significant casualties among the Syrian army: 62 soldiers were killed and about 100 injured. 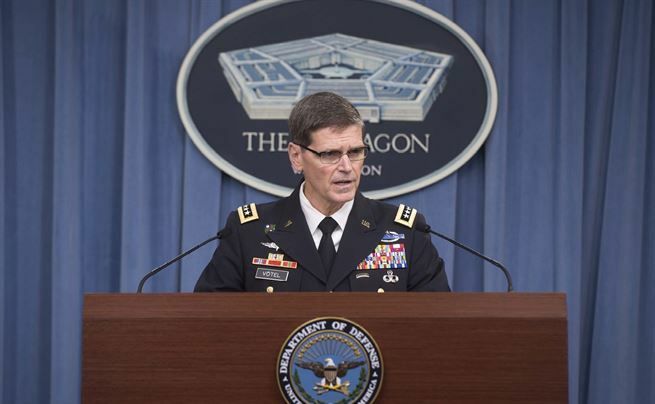 The Pentagon denied that the air strikes were aimed on the Syrian army. However, some experts suggest that this was not be a common mistake. According to pro-government sources, some 1,000 soldiers of the Syrian Republican Guard (an elite formation of the Syrian army) had arrived Deir Ezzor in order to support operations against ISIS in the area prior to the US-led air strikes. Washington Post, U.S. admits carrying out airstrike that Syria claims killed 62 soldiers, Karen DeYoung and Thomas Gibbons-Neff, Sept. 17, 2016. The U.S.-Russia deal to bring peace to Syria seemed near collapse late Saturday, as the two countries publicly accused each other of double-dealing and atrocities in the wake of an apparently mistaken U.S. airstrike that killed dozens of Syrian soldiers. 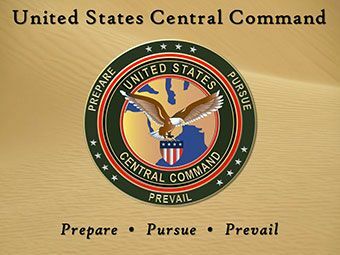 The U.S. Central Command acknowledged the strike, in eastern Syria’s Deir al-Zour province, saying it was “halted immediately” when U.S. forces were informed by Russia “that it was possible the personnel and vehicles targeted were part of the Syrian military.” Central Command said the intended target had been Islamic State forces in the area. A U.S. Defense official said the strike “appears to be an intelligence failure.” Russia and Syria asserted that 62 were killed and about 100 others were injured. Although the Central Command statement did not mention casualties, a senior administration official said the United States had “relayed our regret” through Russia “for the unintentional loss of life of Syrian forces fighting ISIL,” an acronym for the Islamic State, and had launched an internal investigation. It marked the first time the United States has engaged the Syrian military since it began targeting the Islamic State in Syria and Iraq two years ago. The strike also came at a particularly sensitive time in U.S. and Russian efforts to forge a cease-fire in Syria’s civil war, as each has accused the other of failing to comply with an agreement they struck a week ago for a cease-fire, to be followed by coordination of their counterterrorism strikes. The incident quickly sparked one of the most hostile diplomatic exchanges between Washington and Moscow in recent years. Russia, after calling an emergency Saturday night meeting of the U.N. Security Council, suggested that the strike was “not accidental” and that it was designed to derail the deal. Russia’s U.N. ambassador, Vitaly Churkin, also said the strike could be evidence of U.S. support for the Islamic State and an al-Qaeda affiliate fighting the Syrian government, which the United States has sought to help oust. Both Russia and Syria said the Syrian forces at the time were engaged in combat with the militants, which then overran nearby areas. The U.S. military’s Central Command admitted it had been carrying out a strike against a suspected Islamic State position in the eastern province of Deir al-Zour, but said it called off the assault after Russia said it was Syrian army positions that were being attacked, and not the Islamic State. Russia called for an emergency meeting of the U.N. Security Council, to be held later Saturday evening. Deir al-Zour province, where the strike took place, is far from the populated western region where the separate civil war that is the subject of the cease-fire is focused. But administration officials acknowledged that the incident was “not helpful” to efforts to stop that fighting, deliver humanitarian aid to besieged Syrians and ultimately coordinate counterterrorism efforts with Russia under the new agreement. Under the Tampa-based Central Command (whose commander Gen. Joseph Votel is shown below in a Defense Department file photo Aug. 22), coalition airstrikes against the Islamic State in Iraq and Syria are coordinated through planning cells located in the Middle East. Target tracking is done through a variety of means, including aerial reconnaissance by surveillance drones and communications intercepts. In a statement reported by the state-run news agency, the Syrian military said that its troops had been surrounded by Islamic State fighters and that the U.S. strike “paved the way for ISIS terrorists to attack” a nearby hilltop. In details the Pentagon did not confirm, it said the strike was carried out by four U.S. jets — two F-16 fighters and two A-10 ground-attack aircraft — flying from the Iraqi border. RT, ‘US is defending ISIS’: Russia convenes UNSC meeting after US coalition strike on Syrian army, Staff report, Sept 17, 2016. Moscow has called an urgent UN Security Council meeting after US-led coalition hit Syrian forces, killing 62 soldiers and wounding 100 more. The Russian FM spokeswoman blasted Washington over the indiscriminate airstrike that she said serves the interests of ISIS terrorists. 'If previously we had suspicions that Al-Nusra Front is protected this way, now, after today's airstrikes on the Syrian army we come to a really terrifying conclusion for the entire world: The White House is defending IS [Islamic State, formerly ISIS/ISIL]," Russian Foreign Ministry spokeswoman Maria Zakharova (shown below at left in a Tass photo) told Rossiya 24. “We demand a full and detailed explanation from Washington. 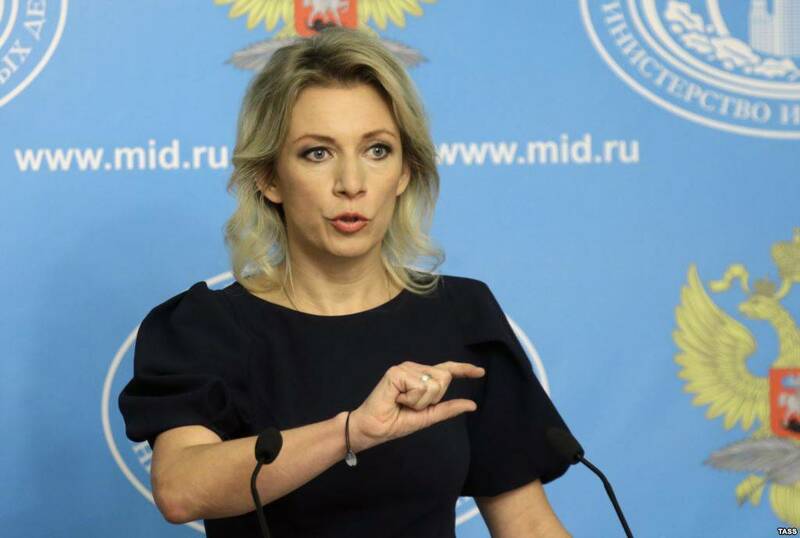 That explanation must be given at the UN Security Council,” Zakharova added. The Foreign Ministry has demanded full and detailed explanation from Washington over the incident in Deir ez-Zor, in which 62 Syrian troops were killed and over 100 injured. The Russian Foreign Ministry stressed that US air strikes against Syrian government forces jeopardize the Syrian ceasefire deal reached between Moscow and Washington on September 9. 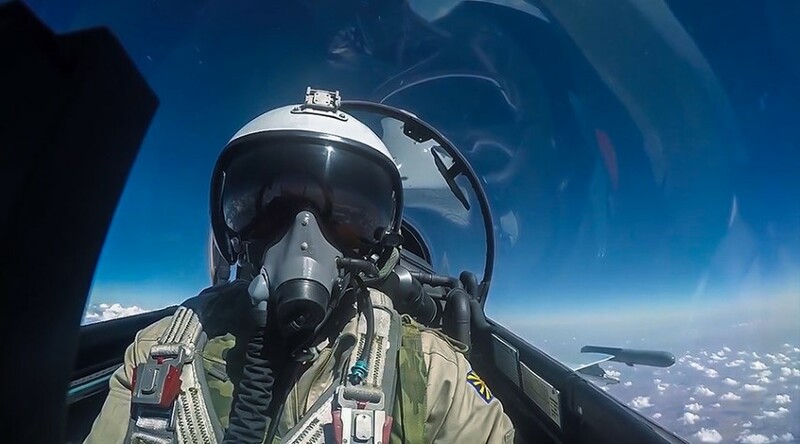 Earlier on Saturday Russia’s Defense Ministry said that four strikes against Syrian positions had been delivered by US-led coalition aircraft – two F-16 jet fighters and two A-10 support aircraft. Reuters via Haaretz (Israel), U.S. Says It Believed It Was Attacking ISIS in Strike That Reportedly Killed Dozens of Syrian Soldiers, Angus McDowall, Sept. 17, 2016. U.S. military said it halted airstrikes after Russia informed it that Syrian military personnel may have been hit; Russia accuses U.S. of stubborn refusal to coordinate military action in Syria. U.S.-led coalition forces bombed Syrian troops near Deir al-Zor airport on Saturday, the Syrian army said, allowing Islamic State fighters to briefly overrun their position and putting new strains on a ceasefire in effect elsewhere in the country. The United States military said it had ceased airstrikes against what it had believed to be Islamic State positions after Russia informed it that Syrian military personnel and vehicles may have been hit. The ceasefire, which took effect on Monday, is the most significant peacemaking effort in Syria for months but has been undermined by repeated accusations of violations on both sides and by a failure to bring humanitarian aid to besieged areas. Russia, along with Iran and Arab Shi'ite militias backs President Bashar Assad, while some of the Sunni rebels seeking to unseat him are supported by the United States, Turkey and Gulf Arab states. All those warring parties are also sworn enemies of the Islamic State jihadist group, whose territory extends along the Euphrates valley from the Iraqi border, including around Deir al-Zor, up to land near Syria's frontier with Turkey. In its sixth year, the conflict has cost hundreds of thousands of lives, displaced half of Syria's pre-war population, prompted a refugee crisis in the Middle East and Europe and inspired a wave of jihadist attacks across the world. Brookings Institution, Why Hillary Clinton wouldn’t be a foreign policy hawk as president, Jeremy Shapiro and Richard Sokolsky, Aug. 12, 2016. Everybody knows Hillary Clinton, and everybody particularly knows her foreign policy views. After all, she has been a presence in national politics for more than 25 years and has a long record as first lady, senator, and secretary of state. Most believe that Hillary Clinton is a “hawk” on foreign policy, and that as president, she would escalate current U.S. military commitments in the Middle East and elsewhere, dragging America into more military misadventures in various far-flung corners of the world. Clinton has indeed often favored the use of force. But President Hillary Clinton would not likely be the uber hawk that so many expect. First, her record is in fact more nuanced than is often appreciated—she has just as often pushed for diplomatic solutions as military ones. But more importantly, it is because, as president, she will find that the use of force abroad will offer precious few opportunities for making a difference, and will come at a considerable political cost at home. Mr. Kerry’s mild tone could be explained by the fact that he had not yet read the document. Or maybe it was because the “dissent channel” is a prized institution at the State Department — one that guarantees employees a way to air objections without fear of reprisal. But the most plausible explanation is that Mr. Kerry more or less agreed with his diplomats. Their urgent call for the United States to take stronger military action against President Bashar al-Assad of Syria closely resembles the arguments that administration officials say Mr. Kerry has been making in Situation Room debates as he has tried to force Mr. Assad to abide by a cease-fire and agree to a transition of power. Mr. Kerry, these officials said, has told President Obama that he is operating without any leverage in Syria, and that unless the United States increases the pressure on Mr. Assad, the embattled leader will simply wait out the end of Mr. Obama’s term. New York Times, State Department Draft Dissent Memo on Syria, Mark Landler, June 17, 2016. In a draft version of a dissent memo filed with the State Department's senior leadership, dozens of diplomats and other mid-level officials called for military strikes against President Bashar al-Assad of Syria. The document was provided to The Times by a State Department official on condition that the names of the signers not be published. New Yorker, Former Ambassador Robert Ford on the State Department Mutiny on Syria, Robin Wright, June 17, 2016. The Obama Administration has long been divided over what to do about Syria. The crisis produced one of the biggest differences between President Obama and Hillary Clinton, his first Secretary of State. The policy chasm has only deepened during the five years of conflict, which has now reportedly claimed almost half a million lives. 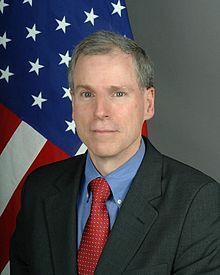 Robert Ford (shown in an official photo, circa 2011) was the last American ambassador to serve in war-torn Syria. After the uprising erupted, in 2011, Ford dared to visit opposition areas, meet with demonstrators, and pay a condolence call on the family of a slain activist. Ford was pulled out of Damascus over security concerns after the civil war broke out later that year. The State Department charged the regime of President Bashar al-Assad with incitement against Ford. A long-time Middle East specialist, he continued to work on the Syria crisis from Washington until 2014, when he quit the Foreign Service in frustration over the Administration’s reluctance to provide greater support to the Syrian opposition. “I could no longer defend U.S. policy,” he told me. Ford, who is now a senior fellow at the Middle East Institute, in Washington, D.C., discussed the Syria quagmire with me on Friday. The interview has been condensed and edited for clarity. What does the letter of dissent reflect? Frustration at the State Department has come to a boil. People don’t write in the Dissent Channel every day. The existing policy is failing and will continue to fail.